Question 1: Whether formulations cleared have to be assessed to GST under transfer price mechanism or on the basis of MRP printed on them? 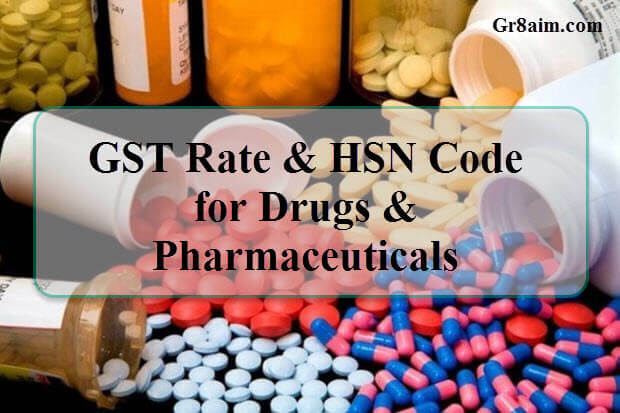 Answer : The assessment of drugs and formulations under GST would be on the basis of transaction value at each level of supply with end to end ITC chain for neutralizing the GST paid at the procurement level. Question 2: What are the requirements for clearance of physician samples distributed free of cost? Answer : In case of clearance of physician samples distributed free of cost, the ITC availed on the said samples has to be reversed in view of the provisions under Section 17(5)(h) of the CGST Act, 2017.No tax is payable on clearance of physician samples distributed free of cost as the value of supply is zero and no credit has been availed. Question 3: What is the procedure for movement of time expired medicines from the retail outlets to the manufacturer for destruction? Answer : In such cases, the manufacturer may issue a credit note within the time specified in sub-section (2) of section 34 of the CGST Act, 2017 subject to the condition that the person returning the expired medicines reduces his ITC. Subsequently, when the time expired goods are destroyed, the manufacturer has to reverse his ITC on account of goods being destroyed. Where the goods are returned after the time limit specified in section 34(2) of the CGST Act, 2017, the registered person returning the goods shall issue a tax invoice, as it is a supply within the meaning of Section 7 of the CGST Act, 2017. 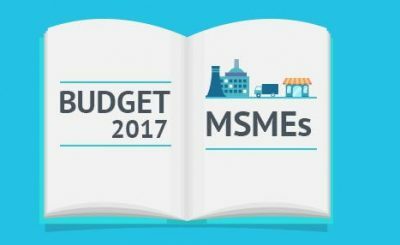 Question 4: How loan and licensee units carry out their operations in GST regime? Answer : GST law does not have any special provision for loan and licensee units. Where the contract are in the nature of performance of job-work, these units can opt to follow the procedure laid down in section 143 of the CGST Act, 2017 i.e. the principal can send any inputs etc. to such units without payment of tax and the principal can clear the goods from the premises of such units if the principal declares these units as his additional place of business or where such units are themselves registered under section 25 of CGST Act, 2017. Question 5: What is the treatment of clearances effected to Special Economic Zones? Answer : The clearances effected to the SEZ are zero rated supplies in terms of Section 16 of the IGST Act, 2017. Accordingly, the supplier can claim refund of IGST paid on such supplies or clear the same under bond/ letter of undertaking and claim refund of the unutilised ITC. Question 6: Whether SEZ unit located in a State requires a separate registration under GST? Question 7: Whether ISD registration is required to be obtained separately? Question 8 : What is the transitional credit that can be availed on the existing stocks held by a registered person under GST, who was not required to be registered under the existing law? Answer : In terms of Rule 117(4) of the CGST Rules, 2017 (transitional provisions) read with Section 140(3) of the CGST Act, 2017, a registered person who was not registered under the existing law and who is not in possession of any document evidencing payment of central excise duty in respect of the goods held in stock, shall be allowed credit at the rate of sixty per cent on such goods which attract central tax at the rate of nine per cent or more and forty per cent for the other goods of the central tax applicable on supply of such goods after 01st July 2017 and the said amount shall be credited in the electronic credit ledger after the central tax payable on such supply has been paid. In case where integrated tax is paid, the amount of ITC would be at the rate of thirty per cent and twenty per cent respectively of integrtaed tax. This facility is available for a maximum period of 6 months from the appointed day (i.e. upto 31st December, 2017) or till the goods are sold out, whichever is earlier. Question 9: Whether a manufacturer can avail deemed credit in respect of transitional stocks on the appointed day in respect of the stocks for which duty paying document is not available? Answer : In terms of the proviso to Section 140(3) of the CGST Act, 2017, the manufacturer is not eligible to avail deemed credit in respect of transitional stocks, for which duty paying document is not available. Such credit is not available in case of SGST except where VAT was payable on the basis of MRP. Question 10: Whether deemed credit is available in respect of goods purchased from tax free zones? Answer : The deemed credit in terms of Rule 117(4) of the CGST Rules, 2017 (transitional provisions) read with Section 140(3) of the CGST Act, 2017 would be available in respect of the goods, which were not unconditionally exempt from the whole of the duty of excise specified in the First Schedule to the Central Excise Tariff Act, 1985 or were not nil rated in the said Schedule. As the goods purchased from tax free zones were exempted from duty payment under a Notification issued under Section 5 of the Central Excise Act, 1944 and not Nil rated in the First Schedule to the Central Excise Tariff Act, 1985, the deemed credit would be available in respect of such goods held in stock on the appointed day. Question 11: What is the obligation cast on the Registered Person in case of purchases from Unregistered Person? Answer : In terms of Section 9(4) of the CGST Act, 2017 read with Section 31(3) ibid, the Registered Person procuring the taxable supplies from an Unregistered Supplier has to raise invoice and pay GST on reverse charge basis in respect of such supplies. Question 12: What is the treatment of supplies made from erstwhile tax free zones? Answer : Since GST is a destination based consumption tax with seamless transfer of ITC credit, no exemptions are accorded to supplies made by erstwhile tax free zones. Accordingly, the goods cleared from erstwhile tax free zones would be subjected to GST from the appointed day (01st July, 2017). Question 13 : What is the effect of non-payment of consideration in respect of taxable supplies received by the recipient? Answer : If the recipient fails to pay to the supplier the amount towards the value of supply along with tax payable thereon within a period of one hundred and eighty days from the date of issue of invoice by the supplier, theamount of input tax credit availed proportionate to the amount of consideration not paid would be added to his output tax liability along with interest thereon. The ITC so reversed can be reclaimed by the recipient after payment of consideration along with tax payable there on subsequently. This provision is not applicable in respect of deemed supplies made without consideration in terms of Schedule I to the CGST Act, 2017. Question 14 : Whether separate sequence numbers can be maintained for invoices issued by the Registered Person in respect of supplies made under GST? 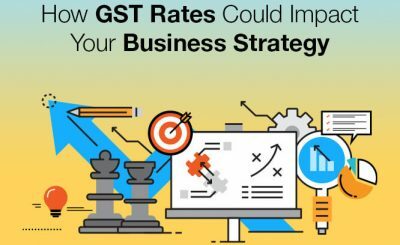 Answer : In terms of Rule 46(b) of the CGST Rules, 2017 single or multiple series of invoices can be raised by the Registered Person for the supplies made under GSTas long as such invoice numbers are unique for a financial year. Question 15 : Which is the document required to be issued by the Registered Person for supply of goods from one premises to another premises under the same registration number? Answer : In terms of Rule 55(1)(c) of the CGST Rules, 2017 such movements have to be effected under the cover of a delivery challan along with any other document that may be prescribed in lieu of the e-way bill. Question 16: Whether discounts can be claimed as an abatement from the price for assessing GST? Answer : In terms of Section 15(3) of the CGST Act, 2017, the value of supply for charging GST shall not include any discount which is given before or at the time of the supply if such discount has been duly recorded in the invoice issued in respect of such supply. The value of supply shall also not include any discount which is given after the supply has been effected, if such discount is established in terms of an agreement entered into at or before the time of such supply and specifically linked to relevant invoices and ITC attributable to such discount has been reversed by the recipient of the supply. Question 17: What are the relevant provisions for movement of transitional goods lying at the premises of contract manufacturer on or after appointed day? Answer: The procedure for movement of transitional goods lying at the premises of Contract Manufacturers/ Loan Licencee is governed by the provisions under Section 141(1), (2) & (3) of the CGST Act, 2017.